Biting into one of these Limited Edition candies can transport you to destinations like California, Georgia, New York, Hawaii, Texas, and Florida. The ‘Flavors of America’ collection adds a new twist to the traditional Hershey’s candies. You will find these delectable candies at retailers nationwide for a limited time! Hershey’s Kisses Coconut Almond Flavored Candies will make you dream of the tropical islands.Close your eyes and feel the warm summer breeze while enjoying this coconut and almond flavored candy. PayDay BBQ Flavored Bars This Texas inspired candy has bold BBQ-seasoned peanuts surrounding a gooey chewy caramel center. I know I can’t wait to get my hands on all of these! I already fill an addiction coming on for the Strawberry Kit Kat. 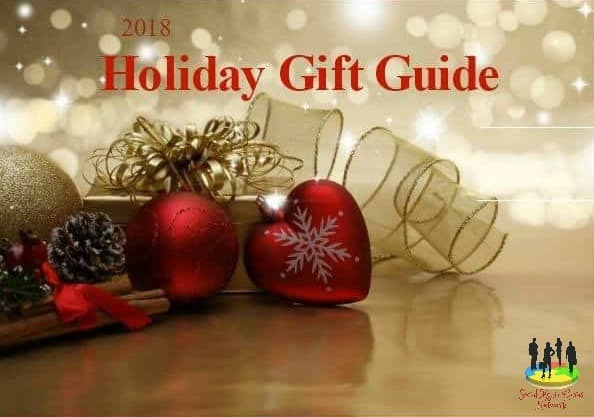 VISIT www.thehersheycompany.com TO LEARN MORE! I’m loving all these new, limited edition flavors of America. I’d love to try them all, especially the Georgia one since I’m originally from GA. They all look delish! BBQ Texas payday really caught my attention. Reading through the list they all sounds like fun. Going to have to look for these special editions before they disappear. 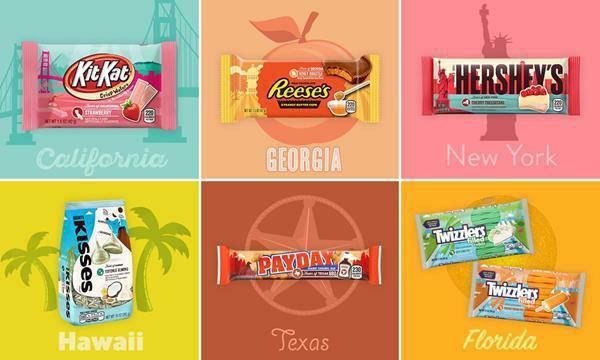 Love the idea of candy bars for your state. I’m originally from Missouri but moved from Georgia. Hubby will love the Georgia one for sure. That is his fav candy. How cool! I haven’t heard about these yet! I am sure that all of the states’ flavors are yummy! What a fun sounding range of chocolate releases! I would absolutely love to try them myself, wonder if we will get some over here. I live in Georgia, so obviously I have to try the Georgia Reese’s. It doesn’t hurt that Reese’s is my favorite candy. All these new flavors sound amazing. I’m curious about the BBQ flavored bars. These Hershey’s limited edition flavors of America collection is amazing. The strawberry Kit Kats I would love to try for sure. Thanks for sharing these awesome treats. I love all these new Flavors of America! I would love to try them all. Thanks for sharing this list. Oh I can’t wait to try these, I hope they’ll sell them in Canada too. I’ve tried some flavored chocolate from Japan before and it was great! Yum! The Hersheys cherry cheesecake bars sound so good to try! I missed these over Easter, maybe they will have them again next year. Whaaaaat?!?!? That is so cool! I had no idea they were doing this! Can’t wait to try every single one. Strawberry flavored Kit Kats are something I would love to try. This is so cool!. I’m a NYers, so I would love to try the Hershey’s Cherry Cheesecake Flavored Bars! These all sound like really great flavors. I would love them all I bet. We have always loved Reese’s Peanut Butter cups and this Reese’s Honey Roasted Flavored Peanut Butter Cups is something I know we will enjoy even more. I have to look for them at the store tomorrow. I would love to try the Twizzlers Key Lime Pie Flavored Twists.It looks like something we’d enjoy! Hersheys sure know what their customers like! I like what they did here. The Strawberry Kit Kat sounds incredible. The new Twizzler flavors also sound really good. I had the Strawberry Kit Kat and the Reeses Honey Roasted flavored Reese cups. They are both good. I haven’t tried the other ones yet. Wow. All these flavors sound good. I have to try them soon. Really cool candy, lots of great ideas could come from this. So cool, I did not know about this. I know that each state has their “edition” of vehicular colors but, didn’t know there was particular Hershey’s. how did i never see these? bummer, did anyone try them? How so super fun!! I love that they did this!! I totally missed them but hope they do it again!! How fun is this? Can’t imagine all the different flavors! I cannot believe I missed these. Bummer. All the way a year ago already. Strawberry Kit Kats are so yummy! I love trying different flavored Kit Kats. Wow, they all sound so yummy. I would love to get my hands on the Hershey’s coconut almond chocolate kisses and the Hershey’s cherry cheesecake bars.